Being involved in the hotel industry in any way means that there is a constant need to innovate. Companies that don't offer new ways of doing things or new products typically don't have a lot to offer their clients, so they don't stick around too long. Since its inception, Phonesuite has proven itself as a full-fledged leader within the hotel industry. In 2018, we continued this standing by introducing three exciting prospects for hoteliers across the country and around the globe. Let's take a look at each of these innovations that will continue to be utilized in 2019 and beyond. Within the hotel industry, a lot of attention is placed upon concierge services that allow hoteliers to improve a guest’s experience. In the past, such services were limited to an actual person who would ensure that each guest’s individual needs were being met, thereby making the guest happy and increasing the chances of that guest returning to the hotel. These tasks would include anything from setting a wake-up call or picking up laundry to reserving a dinner reservation or finding local hotspots. In recent years, however, these tasks have turned to automation and other technologies. In an effort to further the concierge experience for guests, Phonesuite began to integrate a speech-enabled device called Roxy as a conduit for providing fully customizable in-room concierge services. 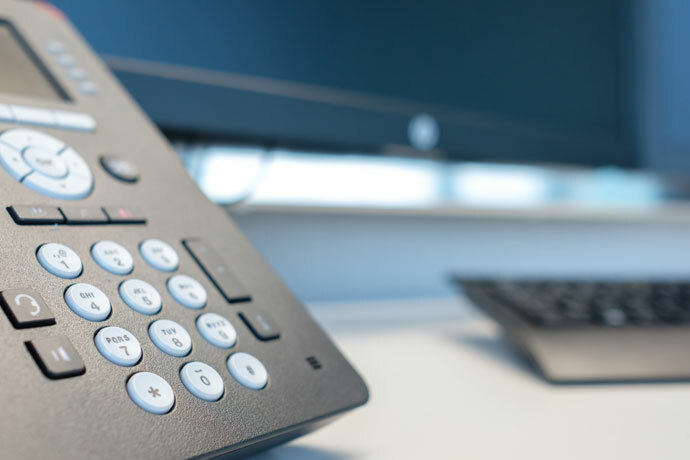 This integration is conducted through Phonesuite’s PBX platform and has enabled guests to receive responses to their requests and questions more quickly than ever. This integration has already proven to be a big success throughout 2018 and will continue to do so in the future, especially as the technology continues to make advances. Since its inception, Phonesuite has dedicated itself to providing robust, cloud-based tools with the intention of not only improving a guest’s experience, but also making a hotel manager’s job more efficient and effective. One way that it has done this over the years is through its Voiceware software, which has proven itself as a leading IP-PBX hotel management platform. Not to be outdone, Phonesuite improved the platform in 2018 with the release of its Voiceware 3.0 upgrade. This new version comes with several enhancements aimed squarely at improving the functionality and ease of use that hotel managers have come to expect with the Voiceware platform, but one of the most significant of these enhancements is the introduction of cloud-based call reporting. This functionality provides hotel managers with up-to-the-minute call data, including usage and staff metrics, in addition to allowing larger hotels to view data across multiple locations. These functionalities, among others, are expected to improve the guest and employee experience far into the future. Phonesuite has pulled in many types of technology to use with its platform over the years, but the acquisition of Asteria, a company we’ve been working with for several years, was definitely one of the most exciting announcements that we’ve ever made. The further integration of its technology has allowed Phonesuite to provide hotels with single guest-facing call center functionality through the use of its existing platform. This has translated into the ability of highly trained agents being able to handle many guest requests from one central source. This is exactly the type of streamlining of technology that gets both Phonesuite and its customers excited, and the ramifications of this acquisition will be seen for many years to come. As you can see, Phonesuite is poised to continue its innovation throughout 2019 and beyond. We can help your hotel stay on top of communications technology by installing and maintaining an upgrade to VoIP for your hotel. Reach out to our experts today and we'll get you started.